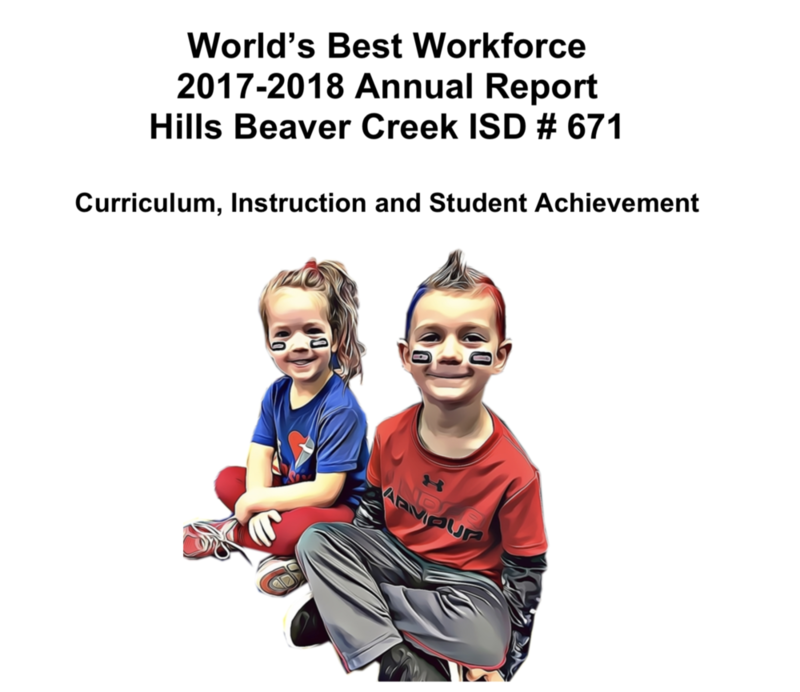 There will be a public meeting to review the district World's Best Workforce Plan from 2017-2018. The meeting includes sharing of the summary report and the goals from last school year. The meeting agenda and handouts can be found here. The meeting will be at 6:30 on Monday, November 26 at the elementary school in Hills. This is not a required meeting but is open to all families and community members.